All ecommerce business strive for achieving notable success. Online merchants that reach this goal often diversify their activities and end up having various web stores and warehouses serving a large number of customers in different locations. Growth in the number of warehouses translates into additional costs, such as human resource and inventory management, maintenance and other related expenses. But there are many reasons why businesses have numerous warehouses at the same time. Merchants may receive orders from different parts of the country or even from other continents. Web store managers can ensure fast shipment of goods by arranging the delivery from the nearest warehouse. Taking into account international shoppers, it’s a wise idea to have warehouses in more than one country to eliminate extra shipping charges and reduce the delivery time. Inventory management may be challenging for new entities, but business growth imposes extra demands on these activities. So, established businesses may find themselves in a tight spot when it comes to efficient inventory management. That’s why heeding inventory management from the very early stages of development is an absolute must for those businesses that think big. Ecommerce businesses that use a default Magento configuration often fail to efficiently manage inventory in their store. 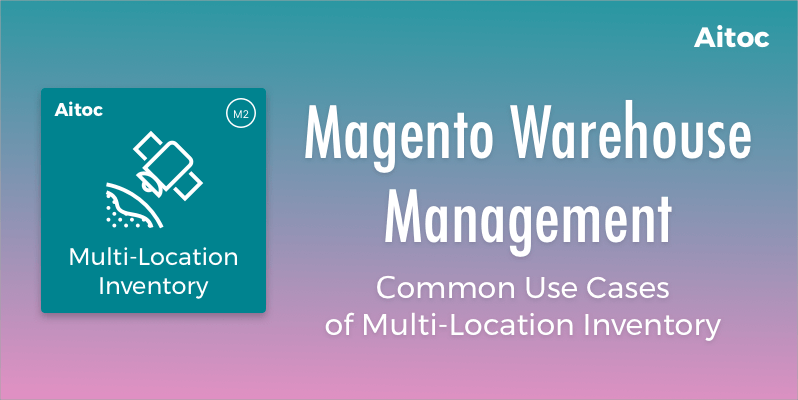 At Aitoc we developed Multi-Location Inventory, an extension for Magento that completely solves problems of Magento warehouse management. Web store owners serving shoppers in different countries often have warehouses not too far from these locales. However, the default Magento doesn’t let store managers monitor stock levels properly. Aitoc’s extension can help you efficiently manage inventories from a single location by creating separate inventories for each site. You can use Multi-Location Inventory for other purposes, as well. For instance, you can keep your fingers on the pulse of seasonal trends in demand in each country, since by keeping track of stock levels you can find out customer preferences and their changes in each season. You can take advantage of this data while optimizing inventory levels at your warehouses, thus reducing your storage costs. Let’s imagine that you have three online stores serving customers in three countries (Japan, Germany, and Spain) and you have two warehouses. One of these warehouses is in Japan, and another one is in Spain. What would you do to ensure timely delivery? It’s better to supply Japanese clients with goods stored in the Japanese warehouse, and ship goods from the Spanish warehouse to European clients. Use our extension to make inventories distinct on a website level by creating two websites and splitting one of them into two store views with a common inventory. So, you’ll be able to manage each inventory separately. Some goods are not very popular, and customers rarely buy them. But it doesn’t mean that store owners have to stop selling these items. They can store them in one location and ship these products as soon as someone orders them. Employ Multi-Location Inventory to place items in a so-called default stock and manage their inventory as a whole. This extension allows store managers to choose multiple products and specify their inventory parameters in different store views, thus saving your time. The importance of efficient inventory management cannot be underestimated. It is essential for optimizing stock levels, reducing operating costs, and more. The default Magento provides basic inventory management capabilities, and it doesn’t meet all the needs of bigger stores with warehouses spread across different locations. 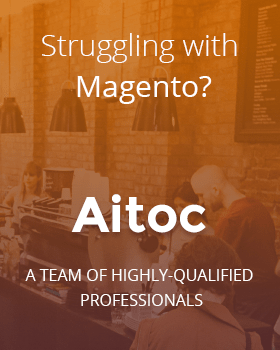 If you’re looking for a powerful tool to accelerate and improve your Magento warehouse management processes, Aitoc is ready to arm you with the one. Our extension is also available for Magento 2.